An indoor herb garden is a great way to take up gardening or to use one’s green thumb without much mess or frustration. Not only can an herb garden look beautiful in a kitchen, but also it can provide a variety of flavorful herbs for use during meal preparations. With a few simple materials and some basic instructions, anyone with time and patience can try his or her hand at this type of gardening. There are an incredible number of benefits to having an indoor herb garden. First, these herbs can be grown all year long instead of only during the summer. Second, when compared to decorative plants and flowers, herbs are actually one of the easiest types of plants to grow. Third, the herbs can be used for more than just decoration. They can be snipped and used in a variety of meals for quick flavor without having to run to the grocery store. Fourth, an herb garden will save families money because they will not have to purchase costly herbs from a store. In addition, families who grow their own herbs do not need to worry about pesticides being on them. The first necessary item is a planter. There are two main types of planters. The cheaper and more traditional option is one that requires soil and usually includes small pots. The second option is a soil-free variety, which is also called hydroponic. Next, the herbs themselves will be needed. Many individuals grow there herbs from seeds. However, it is also possible to buy starter plants at a greenhouse. Other sundry items that may also be required include pruning shears, herb scissors, grow lights and fertilizer. After choosing between soil and hydroponic planters, gardeners need to choose the type of herbs they would like to grow. Some of the easiest herbs to grow indoors include basil, oregano and chives. The seeds should be planted according to the directions on the back of the seed packet while carefully following directions for spacing and depth. The herbsmust be placed somewhere where they will receive plenty of light each day. A south-facing window, preferably in the kitchen, is the best option. Most herbs do not need much fertilizer but will need to be watered regularly. Harvesting the herbs with shears will help the plants to grow fuller and will provide delicious flavors for home-cooked meals. These herb scissors are perfect for taking herbs directly from the planter to the skillet. 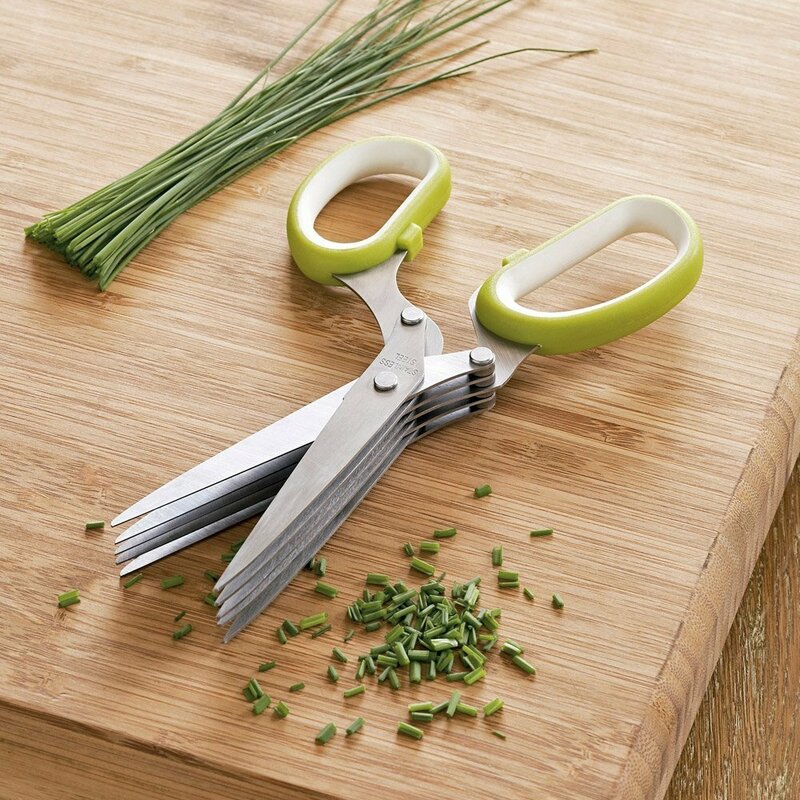 They feature five blades that are designed for snipping and chopping herbs into perfect proportions. They are much easier and faster to use than a kitchen knife is for cutting fresh herbs. This dishwasher-safe tool is comfortable to hold, safe to store with its accompanying blade cover and durable with rust-resistant blades. A grow light speeds the growth process of herbs by stimulating photosynthesis with electromagnetic light waves. The Hydrofarm Light System offers a T5 light fixture that can be raised or lowered based on the height of the seedlings. The mirror finish inside the lamp further increases the amount of light the herbs receive while remaining energy-efficient. This system includes both the light as well as a 2-foot wide frame, which holds the light. 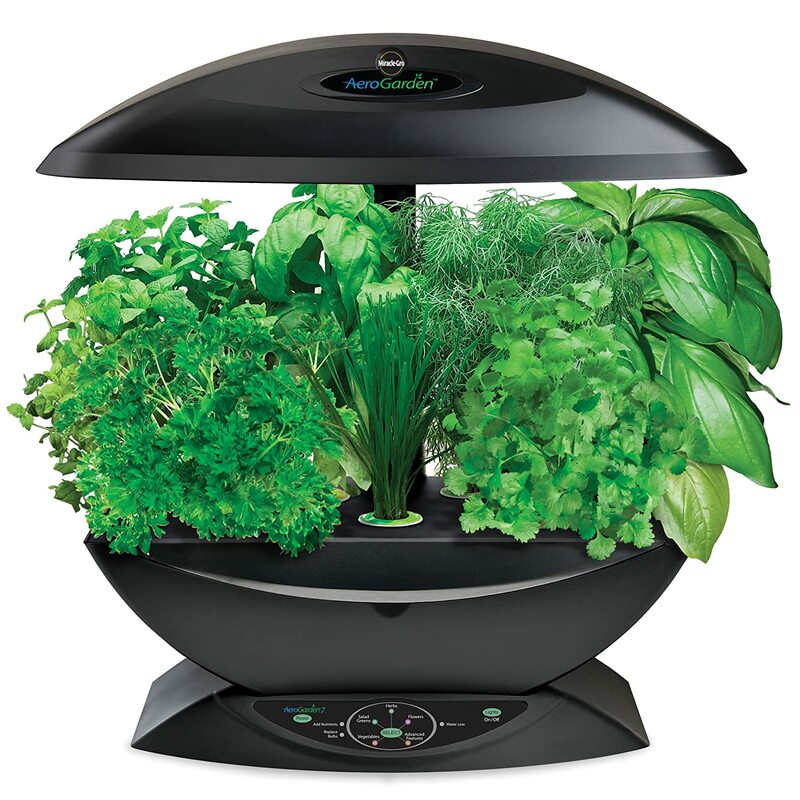 The AeroGarden is perfect for smaller homes or for those who do not want to use soil to grow their herbs. It may seem like a more costly alternative to traditional planters. However, this system can grow herbs exponentially faster than traditional planters can, thereby saving a great deal of money on store-bought herbs. 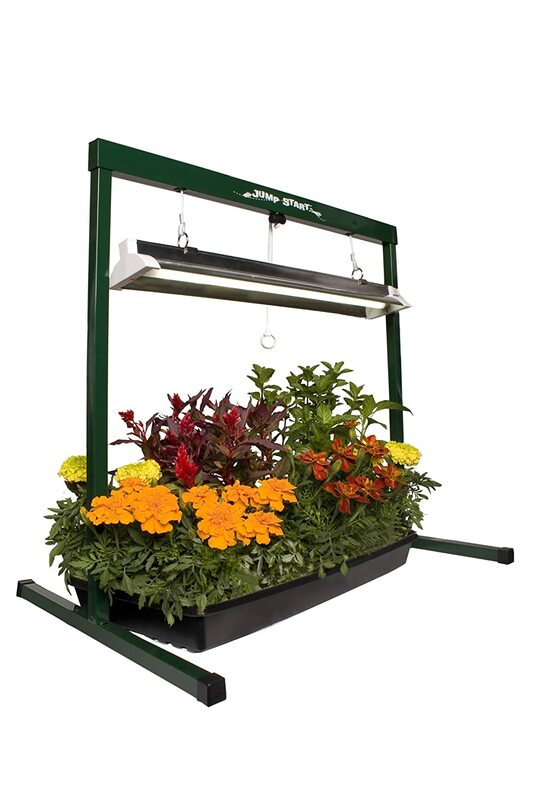 This system, which is easy to assemble, also includes a hood with a grow light and an air pump to deliver nutrients to the plants. Gardeners can choose from a wide variety of seed pods to use with this indoor garden. The Mr. Stacky is a great way to save space in smaller areas such as apartments and small galley kitchens while still including a great deal of surface area for plants. These pots allow for 24-quart of soil. It comes with a base to catch water. Each pot has room for four plants. 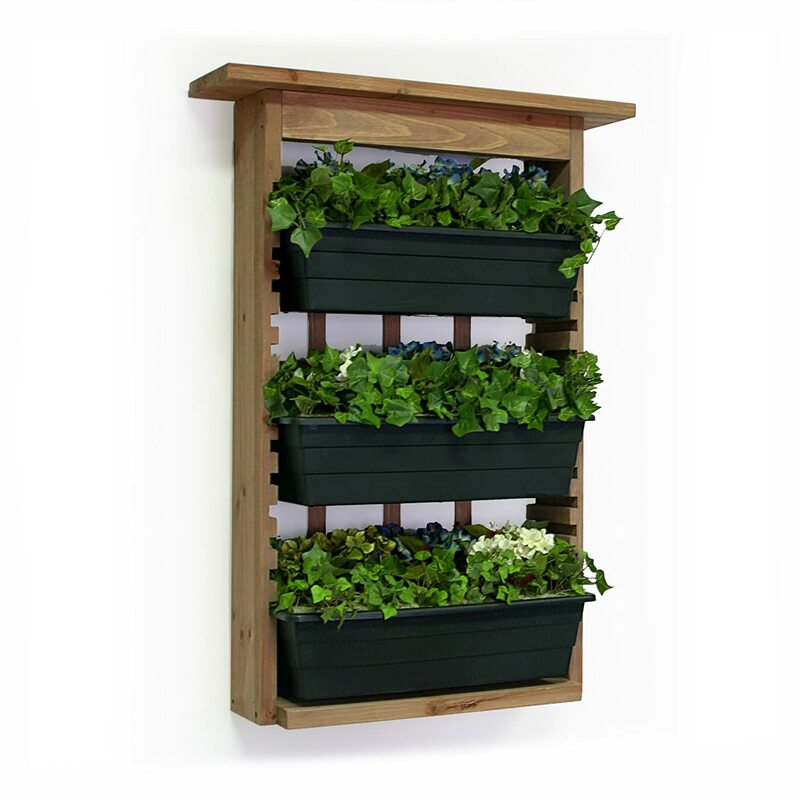 Therefore, gardeners can plant nine herbs in one small space with this popular set. In addition, it does not take up much storage space because the four pots stack together. The Wall Planter is another fantastic way for homeowners to save valuable space inside their homes while also creating a decorative garden. This system includes three planters that each measure 24-inches wide as well as a beautiful trellis background that can be mounted on a wall. Because the planters can be raised and lowered, this system is perfect for both tall and short herbs. A terrarium is an excellent way to create a greenhouse effect indoors. This H Potter Terrarium will create a beautiful display within the home where plants can get the humidity, warmth and light that they need. It is made of glass and lead, and the top opens easily for access to the herbs. Of course, it is best to use herb seedlings with this type of garden. This pruning scissors is perfect for small plants such as herbs because it has narrow, 1.5-inch blades. It is an excellent purchase because it is both economical, and will last for years without rusting. The soft-grip handles are comfortable to hold while snipping off herbs for meals and pruning for increased growth. Indoor herb gardens can be simple or lavish. The herbs can be planted in simple pots or they can be grown in specialty terrariums or placed under grow lights. No matter which method is chosen, an indoor herb garden is a fun and beneficial hobby.